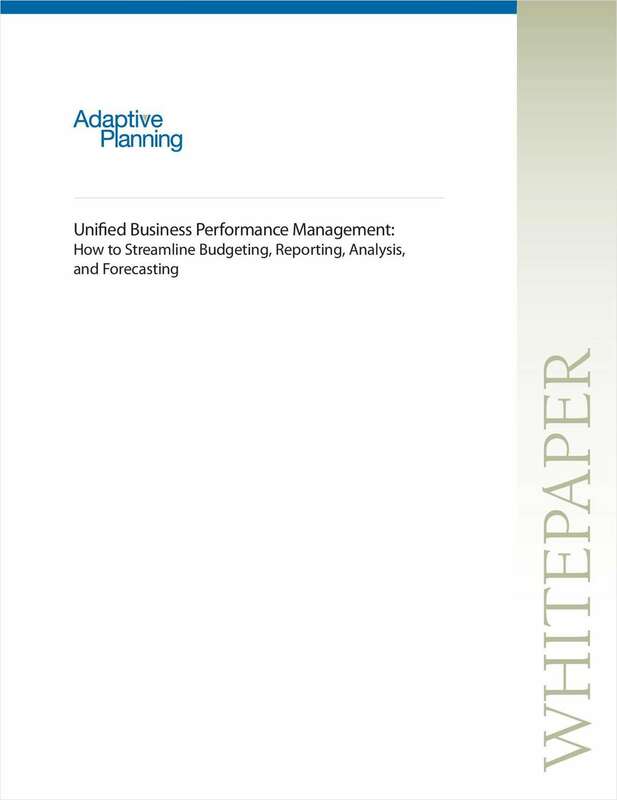 "Unified Business Performance Management: How to Streamline Budgeting, Reporting, Analysis and Forecasting"
Free White Paper: "Unified Business Performance Management: How to Streamline Budgeting, Reporting, Analysis and Forecasting"
Business Performance Management (BPM) allows companies to optimize performance by setting goals, monitoring progress, and reacting quickly. This whitepaper details the benefits of a unified approach to integrated financial management. By submitting this content request, I have legitimate interest in the content and agree that Adaptive Planning, their partners, and the creators of any other content I have selected may contact me regarding news, products, and services that may be of interest to me.